Log Home Finishing uses Sashco Capture / Cascade water based stain on many projects. Over many years of performing log home maintenance in Colorado Log Home Finishing finds that both water based and oil based stains work well. Regular interval staining such as recoating the Cascade top coat in necessary for proper stain funchion and avoiding stain failure on your home. 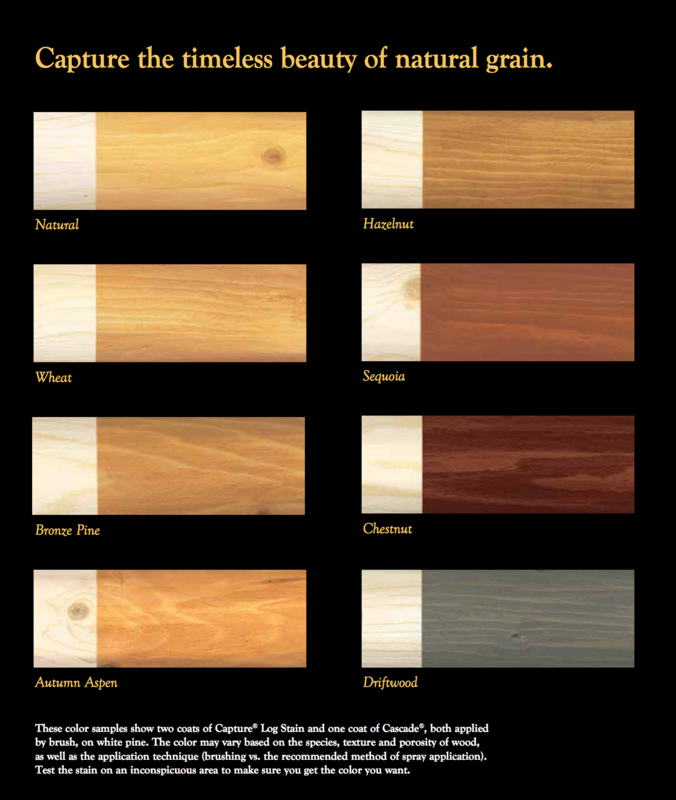 Log Home Finishing provides this color chart to our log home maintenance customers to choose colors for your log home restoration project. Capture / Cascade is usded on many log homes in Breckenridge, Frisco, Summit County Colorado and many other surrounding Colorado log cabin locations.